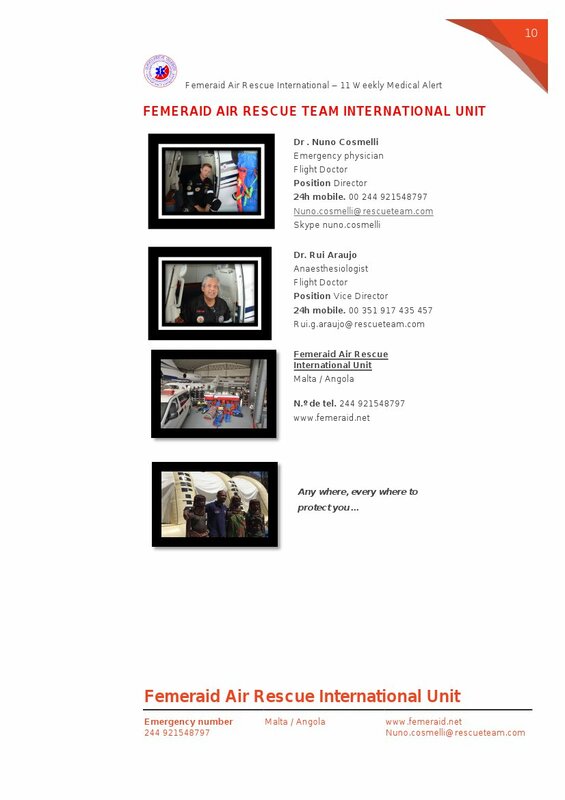 These world medical alerts are compiled by Femeraid Air Rescue team with reliable information from WHO, CDC Atlanta and others. If a Knight or Dame requires more details about a particular risk or location and how to mitigate the risk, please contact our team through the details provided on last page, be safe out there… China: Bird flu in humans There are further reports of human cases of bird flu, with some resulting in severe illness and death. Cases have been recorded in over a dozen provinces including Anhui, Chongqing, Fujian, Guangdong, Guizhou, Guangxi, Henan, Hunan, Hubei, Jiangsu, Jiangxi, Liaoning, Sichuan, Shandong, Shanghai and Zhejiang. Cases have been imported into Beijing and Yunnan. In addition, Macao, Hong Kong and Taiwan have reported imported cases from mainland China. The majority of people infected had direct contact with birds. Although there are several clusters where human to human spread cannot be ruled out, there is no indication bird flu is spreading readily between people. The overall risk of infection appears to be low. The Knights and Dames of Our Sovereign State should prevent infection by paying attention to hygiene and avoiding contact with birds and their environment.